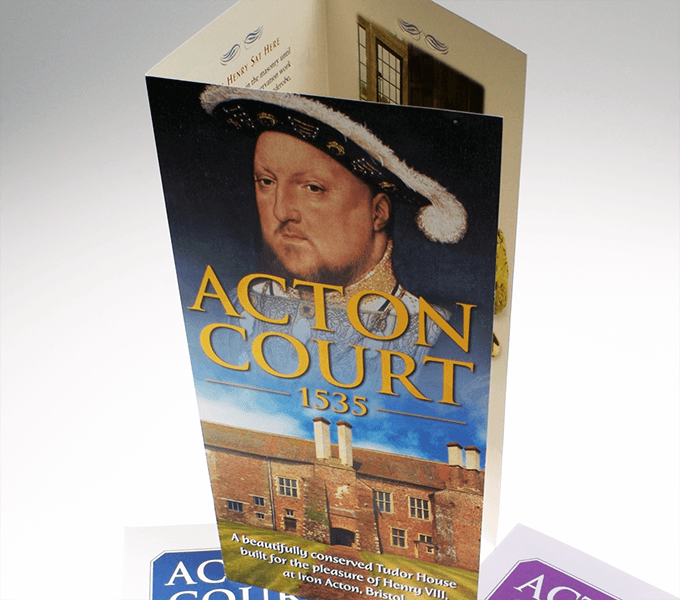 Acton Court is one of the finest examples of a Tudor house in the country. 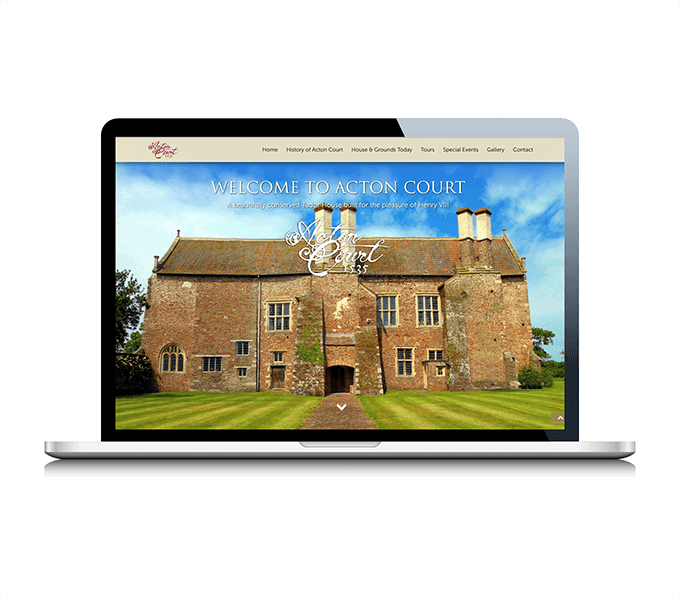 We have worked closely with the Trust to redesign Acton Court’s website on a responsive framework. 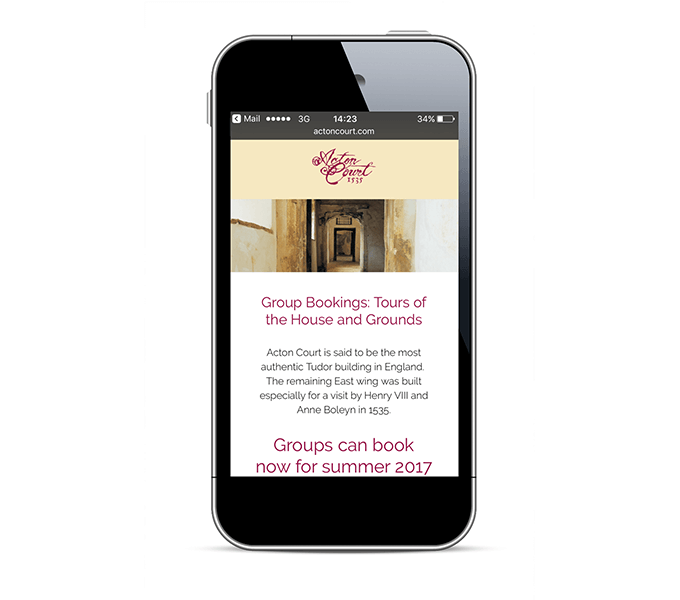 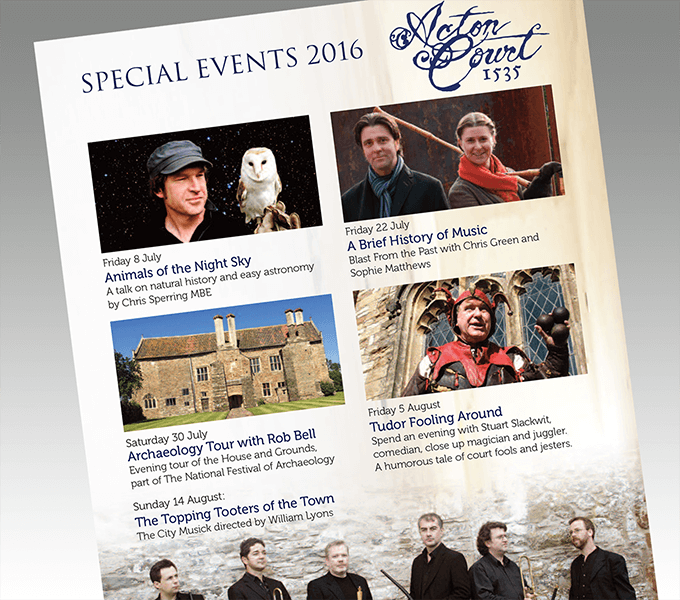 Visitors can reserve places for tours, and book summer event tickets online. 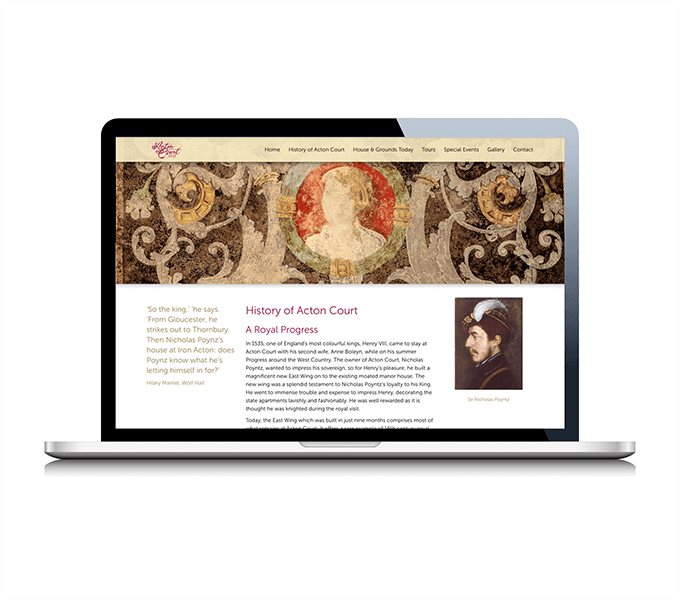 Using Adobe BC the Trust can send marketing emails, and we have integrated their social media with the website, and provided the client with training to get the most out of their online presence. 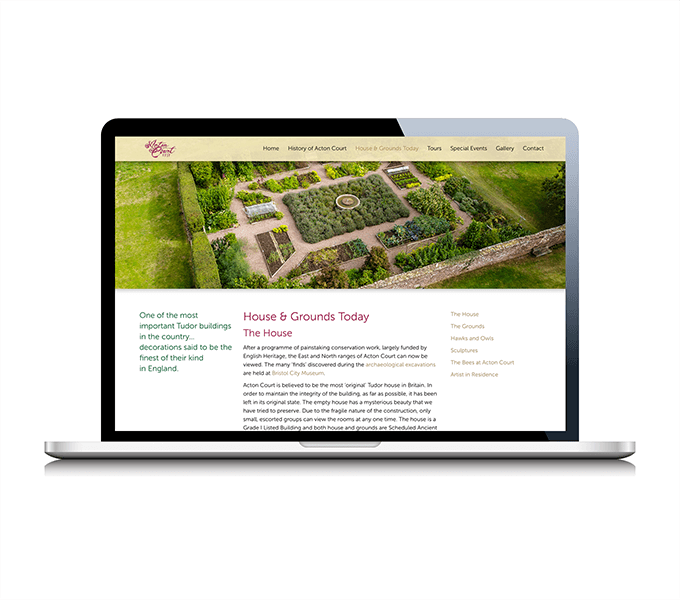 The new website has had a significant effect on the number of visitors, and interest in the house and grounds.